There is NO bigger HOAX on planet earth than the Roman Catholic Church! Oh how I wish I could get people to wake up to the truth. I don't even call the Roman Catholic organization a "church"...it is a RELIGION of manmade traditions and lies of the devil. It certainly is NOT a Biblical New Testament church. Let me clarify right from the very start that I do NOT hate anyone. I love the Pope and all Catholics just as I do all people (I really do). I love them with God's love. I love them enough to risk being unpopular by telling them the truth of God's Word. Though I may not like someone, I am still commanded in the Bible to love them. I have no intentions to be unkind to anyone, I simply want to preach the TRUTH of God's Word. 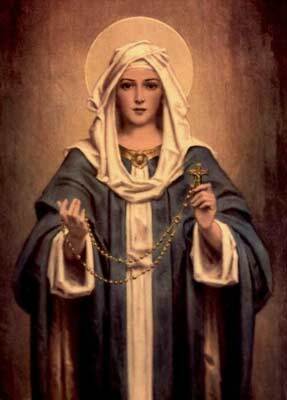 It is wicked to pray or even BOW to "Mother Mary." 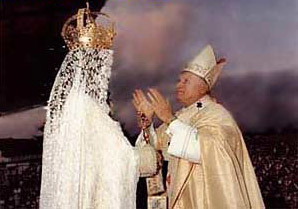 Pope John Paul II is committing idolatry in the image to the left. Mary is NOT my mother, and she's NOT your mother either. Mary is NOT the "Queen of Heaven." Mary is NOT the mother of the church. Mary was just a godly woman chosen by God the Father to be the earthly mother of Jesus Christ, God incarnate. In heaven, Mary is no more special than any other godly woman who fears and loves God. It is wicked to teach that Mary was anything more than a godly woman. John the Baptist was called the greatest man born amongst men (Mathew 11:11), yet Jesus said that he that is LEAST in the kingdom of heaven is greater than John. The same is true with Mary or anyone else. If it were not for God's merciful grace, we would all be hopelessly bound for hell damnation (and that includes Mary). To Hail Mary is to Hail Satan! Mary is NOT a co-redeemer with Jesus. Mary herself had need of a Saviour (Romans 3:23; 5:12; Psalm 51:5; Luke 1:30,46,47). In 1439, the doctrine of Purgatory was proclaimed as a dogma of faith by Council of Florence. 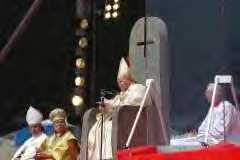 The Bible says that Christ instituted only two ordinances, Baptism and the Lord's Supper (Matthew 28:19-20; 26:26-28). Read more! "Now the Spirit speaketh expressly, that in the latter times some shall depart from the faith, giving heed to seducing spirits, and doctrines of devils; Speaking lies in hypocrisy; having their conscience seared with a hot iron; Forbidding to marry, and commanding to abstain from meats, which God hath created to be received with thanksgiving of them which believe and know the truth." The Catholic religion teaches that Jesus chose the Apostle Peter as the "rock" upon which Christ would build the Church. Matthew 16:18 reads "And I say also unto thee, That thou art Peter, and upon this rock I will build my church; and the gates of hell shall not prevail against it." A simple cross reference of Matthew 16:18 with 1st Peter 2:7 reveals the true context, "Unto you therefore which believe he is precious: but unto them which be disobedient, the stone which the builders disallowed, the same is made the head of the corner." In Matthew 16:23, just five verses after Jesus spoke of the "rock," he called Peter "Satan." There's no way Jesus was referring to Peter as the "rock" in Matthew 16:18. Jesus Christ is the ONLY Rock upon which the Church is built..."For other foundation can no man lay than that is laid, which is Jesus Christ" (1st Corinthians 3:11). Jesus offers restful salvation to anyone who will receive it. Salvation is simple. God doesn't require us to perform sacraments or give our lives to the Catholic Church. Jesus said that the kingdom of heaven is within our hearts, not in temples or extravagant buildings made by men. God is a Spirit and they that worship Him MUST worship Him in Spirit and in TRUTH (John 4:24). You CANNOT worship God in heresy or tradition. Jesus offers us rest from the heavy burdens placed upon us by the religions of mankind. 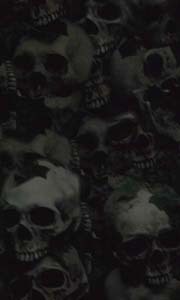 Religion is a sure road to hell, ONLY through Christ Jesus can anyone be forgiven and their name written in heaven. Salvation is found in Christ alone --NOT by baptism, NOT by the sacraments, NOT by church membership, NOT by good works, NOT by praying the rosary, NOT by sacrificing, NOT by religion, NOT by mass, NOT by the Pope, NOT by the priest...ONLY by Jesus Christ. I am hated because I am not of the world, I am against the world (James 4:4). Roman Catholicism is of the world, devilish in it's doctrines. I am on God's side, exposing the lies and the heresies. The Bible teaches that Satan is deceiving the masses of the world. Please do not allow the Catholic religion to lead you into hell. Don't be deceived by the Catholic priest's familiar use of Biblical terms and lingo, you are being LIED TO! The Bible doesn't teach many of the teachings that the Catholic Church propagates. Do your homework! Read your Bible! Pray to the Holy Spirit directly and ask God to guide you into all truth. Please read through these several links and ask God to open your heart. I triple-dog dare you to find all the Catholic traditions in the Bible. You won't!